ThoughtFarmer has always maintained one goal: to make work better. Over the last year, our team has obsessed over the ways in which we could improve efficiency, drive innovation, and amplify culture at your organization. Finding information is the most important function of an intranet. The supernav and scope search are two features we introduced in version 8.0 that are sure to help your employees find what they need faster. To foster innovation, employees need a space to collaborate and nurture ideas. 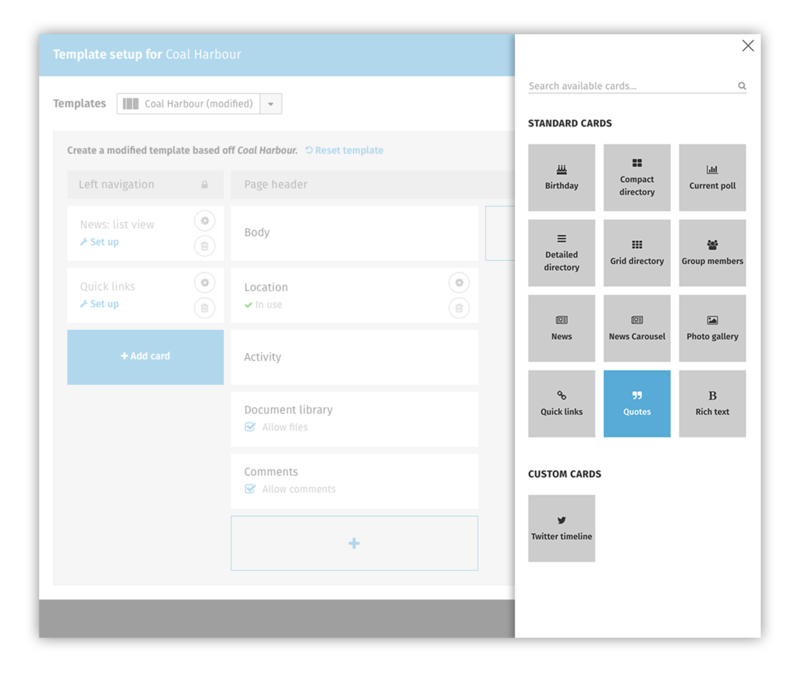 Group templates give staff the power to customize their workspace for teams and projects. We also introduced microblogging to help centralize collaboration and facilitate dialogue between team members. Your intranet should reflect your organization’s vibrant culture. We introduced big, bold header images that can be customized with branded content or fun team photos. Drag-and-drop templates allow you to add features to any page, so you can make your intranet look like your organization, and align to your existing business processes. 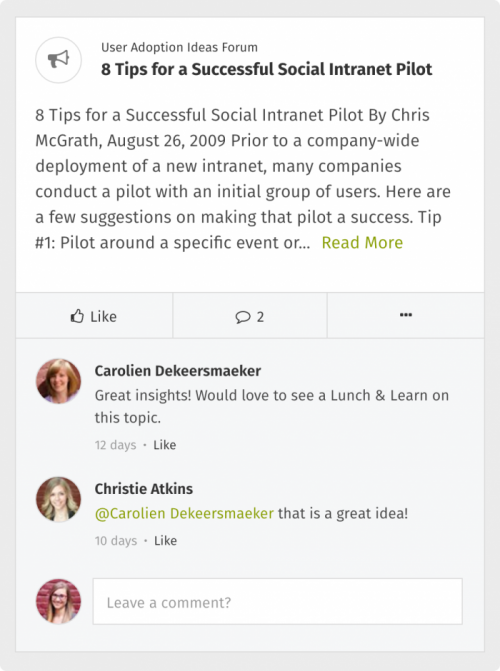 One of the most important functions of an intranet is to help employees to find information. 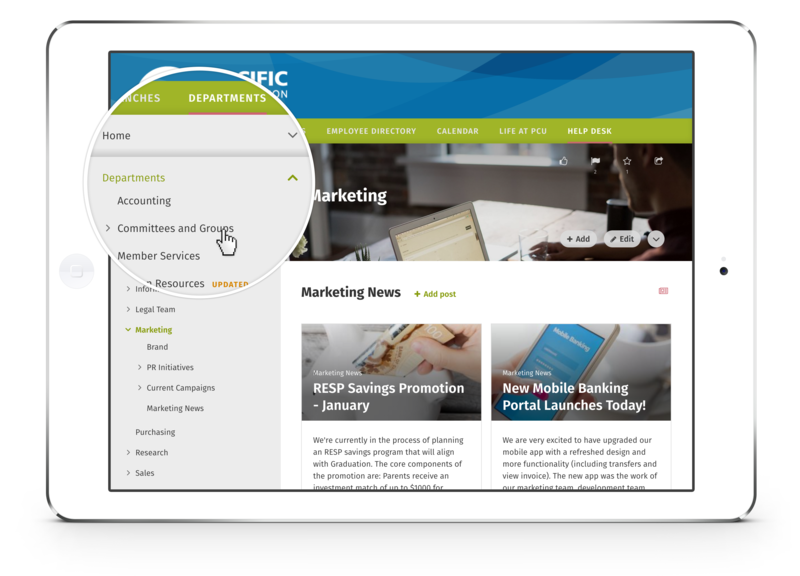 The supernav is a super-quick way for users to browse and travel to any page on the intranet. Our intuitive tree navigation helps employees find specific pieces of information across the entire site. Scope search allows users to jump from browsing to fine-tuned search results instantly. This makes it really easy (and fast) for employees to find the information they need to get their jobs done. 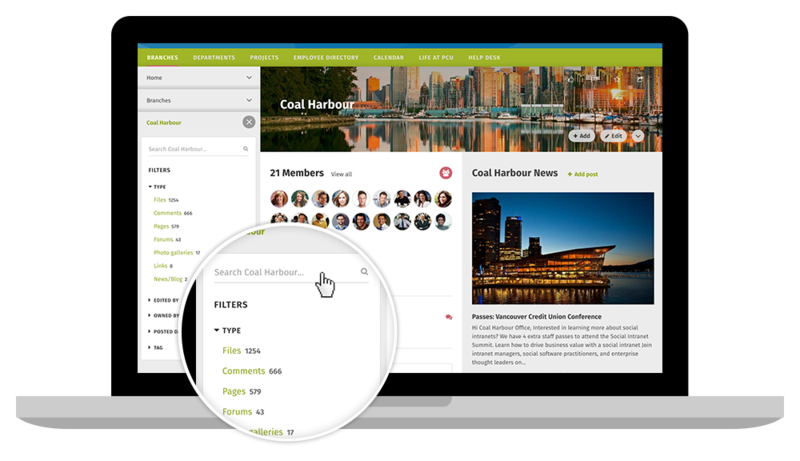 Make your intranet the central hub for team collaboration. With drag-and-drop templates, easily customize workspaces for your teams, departments, and projects. Employees have the power to design their own layouts, no help from IT required. Sharing information is easier and quicker than ever before with microblogging. Microblogging allows employees to share timely information, organize conversations by team, and easily find past discussions. This ensures you’ll never miss important changes on a document (or when there are treats in the kitchen). @Mentions allows employees to notify specific individuals of a conversation that pertains to them. When an employee is @mentioned, they are notified by email and an alert, in real time. This way employees know immediately when their questions have been answered, or when they have done a great job on a project. Teams often have different needs and tools that are specific to their goals. Cards give teams the power to design their own layouts for departments and projects. Employees can choose from a library polls, newsfeeds, and photo galleries (just to name a few), to enhance communication and collaboration. One of the challenges of having a beautiful intranet is creating great looking content. 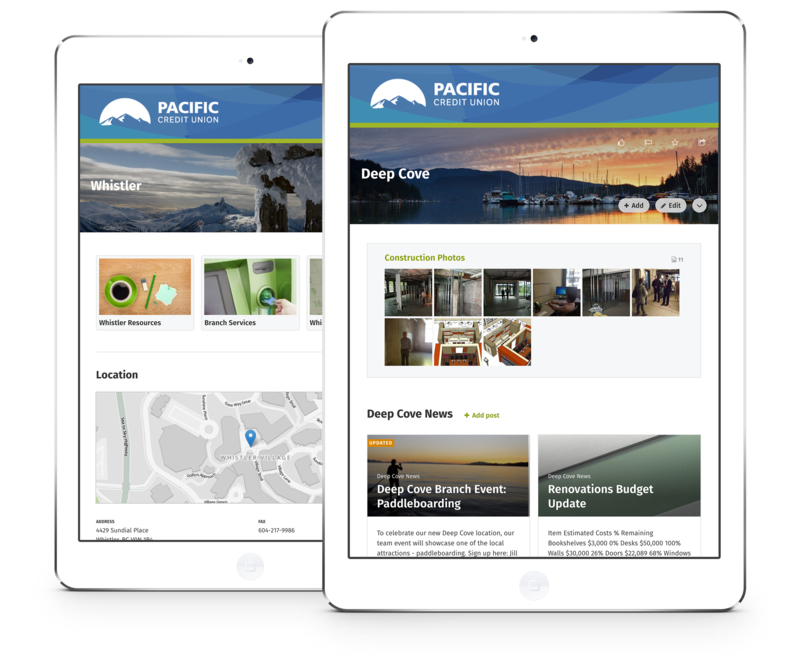 Custom page headers helps users make their intranet content stand out. Authors can add branded images, fun team photos, or even a picture of their next vacation spot. Pages are also responsive, which means the images will look great on any device.